13 septembre 2018 par un de nos usagers	| Nos suggestions adultes. Langue : Anglais. Genre(s) : Social drama. 14 août 2015 par Michèle T.	| Nos suggestions adultes. Langue : Anglais. Genre(s) : Social drama. When Nigeria begins to fall apart under a military coup, Kambili’s father sends her and her brother away to stay with their aunt, a University professor, whose house is noisy and full of laughter. There, Kambili and her brother discover a life and love beyond the confines of their father’s authority. The visit will lift the silence from their world and, in time, give rise to devotion and defiance that reveal themselves in profound and unexpected ways. 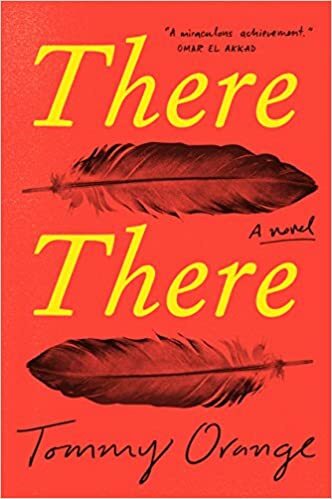 This is a book about the promise of freedom; about the blurred lines between childhood and adulthood, between love and hatred, between the old gods and the new. 6 janvier 2012 par Michèle T.	| Nos suggestions adultes. Langue : Anglais. Genre(s) : Social drama. Adam, a 16 year old Malaysian, lives with his adopted father Karl, who is white and Dutch. Adam is troubled because he would like to find his brother Johan who he was separated from while at the orphanage. Malaysia is in unrest and on the brink of a civil war. Karl is kidnapped and Adam doesn’t know where to find him so he enlists the help of Margaret, who hasn’t seen Karl for years but who comes to realize, through her search for him, that she really cares for Karl. Adam will also realize that his real family is Karl. In the meantime, Johan is careening out of control in his very privileged adopted family because of his guilt concerning his betrayal of his brother. Malaysia’s recent history and colonial past are explored as well as the themes of family, love, and betrayal. 6 décembre 2011 par Michèle T.	| Nos suggestions adultes. Langue : Anglais. Genre(s) : Social drama. Matilda is 14 years old. She lives on an island in the South Pacific with her mother. There is only one white man in her village, Mr. Watts, and they call him Pop Eye. The island has been blockaded and a war has broken out between the rebels and the red skins. In the midst of this turmoil Mr Watts starts teaching the children and reads Great Expectations by Charles Dickens to them, one chapter a day. Matilda and the other children will immerse themselves in the story and will forget for a while their terrible reality. They will see parallels between their lives and that of Pip and the other cast of characters. Matilda and Mr. Watts will form a special bond which will cause a rift between Matilda and her mother. A struggle will ensue concerning the beliefs of Matilda’s mother and that of Mr. Watts. A terrible event will allow them to gain respect for each other. This powerful, unforgettable novel explores faith, the power of literature and story telling, and the devastating effects of war and hatred.